Agile Fairytales is the retelling of the fairytales we know and love from an adult’s point-of-view, combined with interactive exercises and games, designed to promote continuous learning. They reconnect people through our childhood love of stories and creative imagination. Each Agile Fairytale is carefully selected to address problems we may encounter as we strive to improve as an individual and as a member of a team. 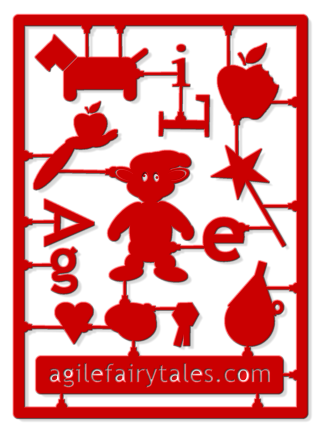 Agile Fairytales uses simple narratives to structure the way we look at problems. Each fairytale is designed to give us insights into our experiences through a better understanding of ourselves. As a game with friends and family.